Are you frustrated with trying to fit your own sewing patterns? Join Studio Faro at the CWA rooms in Coolamon for a day of confidence-boosting, instructive guidance in making the right alterations to create a well-fitted dress. In this 4 hour pattern-fitting workshop, Studio Faro will demonstrate how to make changes to commercial dress patterns to improve the overall fit and balance. Students are required to arrive at class with a fully or partially-made calico (or similar) dress toile/sample so that the fitting sessions can begin immediately. This preparation step is assumed knowledge, so please note that if you do not come to class with a toile or sample you have started to sew, you will not be able to gain the full benefit of the class. 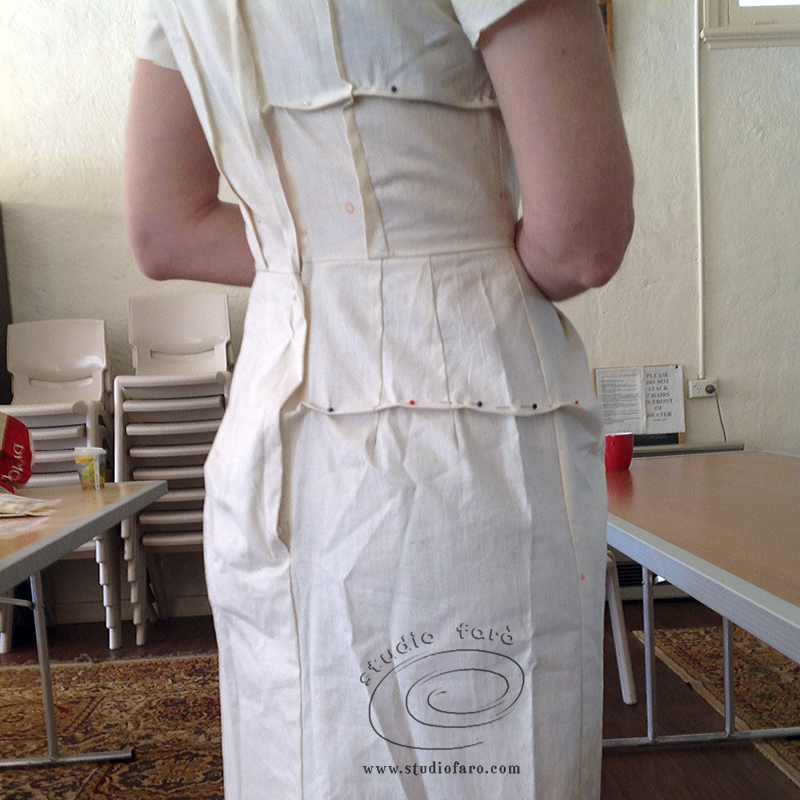 This class is for sewers with enough sewing skills to complete a dress toile or sample for fitting during the session. For more information and registrations, please contact Anita McAdam on 0419 167 451 or email enquires@studiofaro.com .